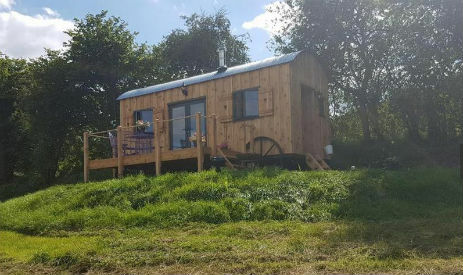 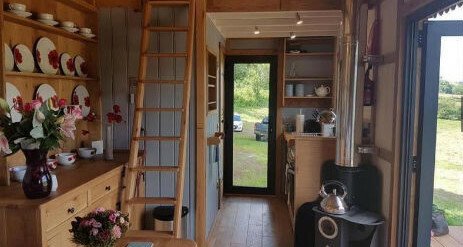 Go glamping in a unique hut set in the tranquil Crai Valley, surrounded by rolling hills and some of the most outstanding views in Wales. 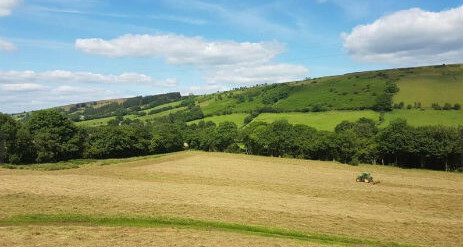 Fourteen miles away is Brecon, a beautiful cathedral town with views of the majestic mountains all around. 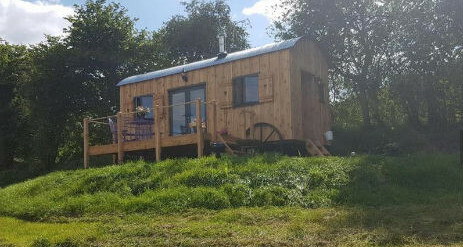 The hut is situated near one of the darkest places in the Dark Skies Reserve and close to a small stream with stepping stones allowing you to explore the idyllic SSSI. 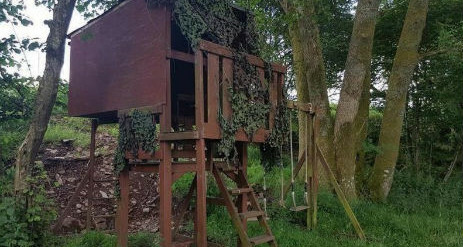 There’s a secret hideaway for children with a treehouse and tree swing in the surrounding woodland! 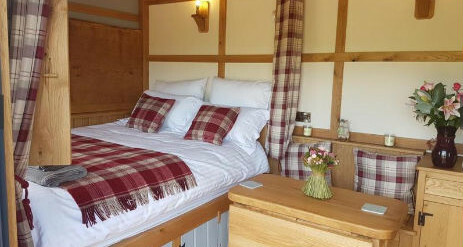 For the adults there are walking routes from the door, including a footpath taking you directly to The Tanners Arms, the local pub, just 2 and half miles away. 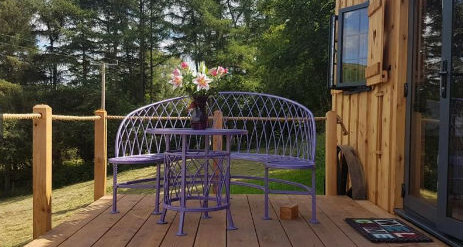 Made by local tradesmen, the hut has been lovingly handcrafted using premium quality oak and red cedar and has balcony decking.